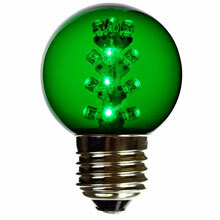 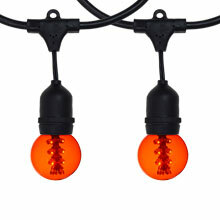 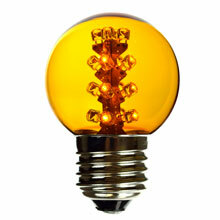 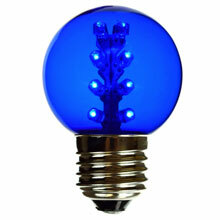 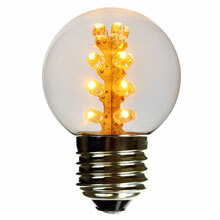 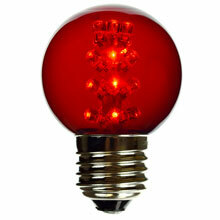 A Designer looking LED bulb with a 16 LED micro tower inside for a vibrant look. 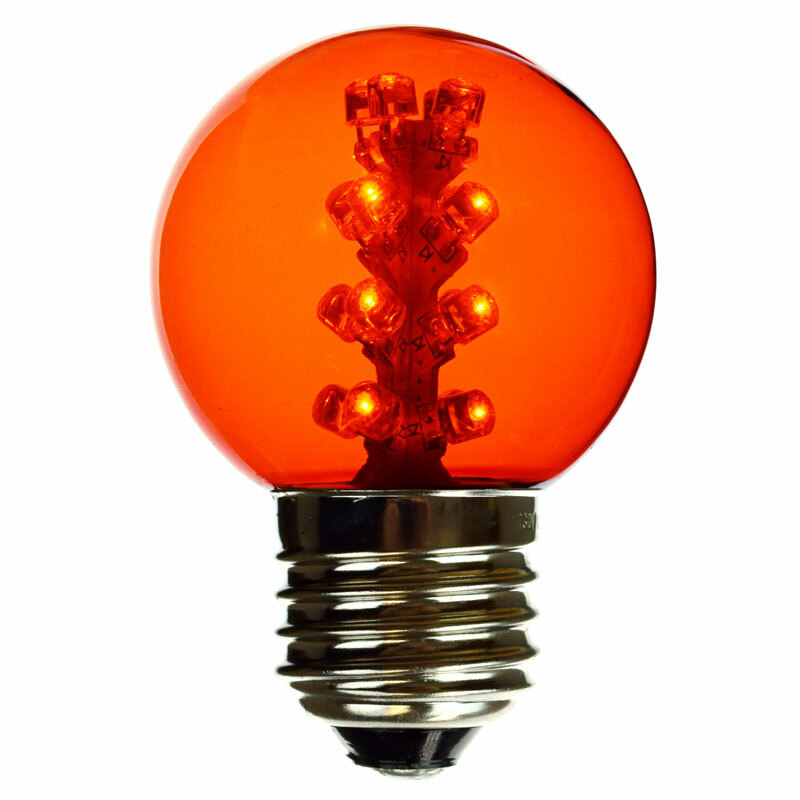 The colored glass cover gives you a modern look of a designer series G50 lamp. 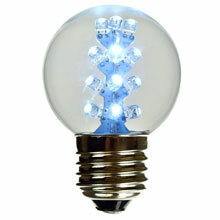 This Energy efficient G50 LED bulb will reduce your power consumption by more than 90% compared with conventional G50 bulbs.